According to the U.S. Census Bureau, Hispanics open businesses three times faster than the national average. Once regarded as a minority group, Hispanics now represent the fastest-growing segment of our economy. To make their businesses successful, Latino entrepreneurs in Southern California turn to Eduardo Figueroa, a consultant, author, and workshop leader for almost twenty years. Eduardo Figueroa on right, with his client, Saeed Roueenfar. Figueroa reports that many of his clients start their own businesses because they have been laid off and don’t have any other option. Others want to be their own boss. And a few aim to become millionaires. His company, Hispanic Business Consultants, helps small businesses develop business plans, increase their business acumen, and motivate employees to more effectively grow sales. His training programs focus on the tactics of setting up a business. Yet, he emphasizes the importance of maintaining a positive mindset among both employees and entrepreneurs to create a successful enterprise. One couple attended his workshop to write a business plan for an Argentinean and Italian restaurant. The husband, Leopoldo, had worked at a similar restaurant previously. When his employer’s lease ended, Leopoldo was laid off along with the waiters and cooking staff. Figueroa helped the couple draft their business plan and obtain a bank loan. And in a surprising turn of events, Leopoldo’s ex-boss became an investor and advisor to his new restaurant, Villa Roma Restaurant, in Laguna Hills, California. Together, they opened a new restaurant, created twenty jobs, and shortly thereafter, opened a wine and cheese store next door with five additional employees. Only eighteen months later, an investor offered to buy the restaurant for one million dollars after an original investment of $450,000. 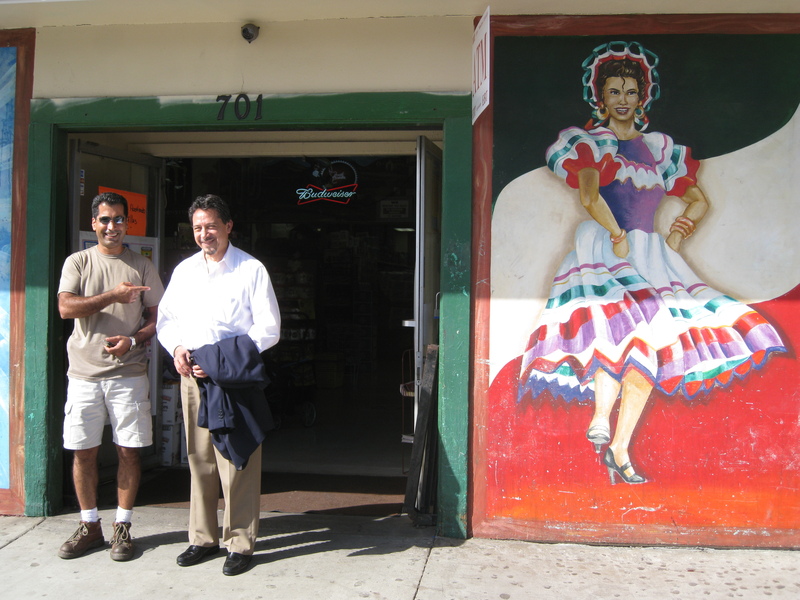 Wilfredo Rodriguez, an electrical contractor, came to Figueroa depressed, saying his business wasn’t going anywhere and he was considering closing it. His client changed his mindset after attending his workshop. Shortly thereafter, potential clients started calling him and contracts came in. “Mindset is key. It’s the beginning of success,” says Figueroa. Bad things may happen in one’s career but those experiences can push us to start our own businesses. Over twenty years ago, Figueroa and his wife moved to Orange County to be closer to his wife’s family and escape the pollution and traffic of Mexico City. They planned on staying for only two years. “I wanted to learn English, work for a new company, and return to Mexico with the distribution rights for that company,” he says. But because he arrived during a recession, Figueroa found that his many job interviewers told him he was overqualified with his MBA or that he wasn’t a good fit. In the meantime, the couple’s savings disappeared while they lived with his mother-in-law. He landed his first full-time job selling advertising for a local newspaper. He thought that he could succeed with his extensive sales experience. Six months later, he hadn’t sold a single ad. During that time, he met the director of the Small Business Developmental Center (SBDC), part of the Small Business Administration (SBA). It served as a turning point in Figueroa’s career. The SBDC needed a bilingual consultant to teach business plan workshops in Spanish for the growing Latino community. The SBDC’s director hired Figueroa because of his MBA degree and experience in writing business plans. When a new director took over the SBDC with a different vision, Figueroa left to start his own business: Hispanic Business Consultants. He encourages his workshop attendees to continue learning, “Don’t assume that you know everything. Know when you need to ask for help. And when you have a big dream, keep it. Even when cash flow projections discourage you or if it’s going to take ten years, don’t forget about your dream,” he says. Figueroa gets help from his coaches at SCORE (Service Corps of Retired Executives) and the SBDC to stay focused on projects that yield results for his business. Since SCORE’s experienced counselors offer entrepreneurs free consulting, Figueroa always recommends the service. “Even I have consultants for my own business. I believe in that,” says Figueroa.